We have been working with patients and their families across the United States and overseas for several years. Our website provides vital information to help women get through their treatments and all the challenges a diagnosis holds for them. One common theme, across the country, has been getting through the day-to-day of living with cancer. When you have surgery your movements are compromised and as a result, you cannot lift things, drive, or do household chores. During chemo, many patients don't feel up to doing anything. Women who have families and wonderful friends are blessed with help. Sometimes it is hard to ask your friends for help. If your spouse works, you are home alone facing these tasks without help. And if you are single, with no family, it is tremendously challenging. To answer this need, our Outreach Center was born. 1. Provide transportation to doctor appointments, treatments and surgeries. 2. Help around the house includes picking up heavy grocery bags that a patient is not allowed to lift; raking the leaves in the fall; mowing the lawn in the summer; shoveling snow in the winter. 3. Young children are a concern if a mom has to be in chemo all day. We provide child care while mom is busy getting well again. 4. Emotional Support for children with parents who are seriously ill. A safe, compassionate place where kids can talk about the fears they are afraid of expressing to their parents. Sharing among their peers helps them feel less alone. 5. Spouse support - the hardest job in the world is to be strong for someone you love. Spouses can share experiences and find friendship during this difficult time. 6. Group support for patients includes workshops on exercise and nutrition for staying healthy; Cooking classes to learn how to create healthful and delicious alternatives to not-so-healthy old favorites; Yoga and relaxation; Wig workshops; Make-up workshops; and Lymphedema support. Fellow survivors looking to pay it forward by sharing their own experiences. 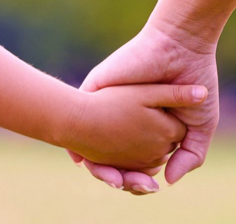 Licensed and bonded caregivers to watch your children in a safe and caring environment. Guest social workers, doctors and therapists to address emotional needs on a professional level. There are patients who must face advanced disease. We have not forgotten them. In honor of these brave women, and their families, we were inspired to create this very special program. Whole Family Support, guided by professional counselors, embraces the entire family and is patient centered, opening a dialog that is vital at this time. Out of the chaos comes peace and acceptance, decisions are easier to make because everyone in the family is able to support one another openly and remain a whole family. Please contact us for immediate assistance.